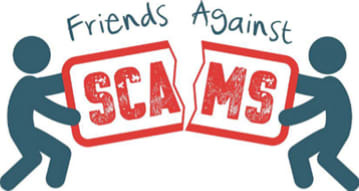 Help to protect people from falling victim to scams is being offered at Bury Library on Monday 29 April. Paul Geary, community banker at NatWest, will look at a wide range of scams and explain how to spot them and avoid them. Scams can be very believable and are often the work of highly organised criminals. The session runs from 10am to 11.30am. Please enter the library from the disabled entrance opposite the Job Centre 10 minutes before the start time.